On June 9, 2018, two Quebec firms civiliti and Julie Margot Design won a prestigious award from the Society for Experiential Graphic Design (SEGD) during its annual gala held in Minneapolis. 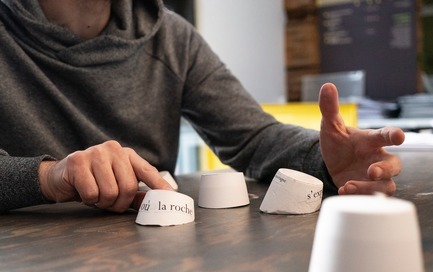 Their project, Escales découvertes (Discovery Halts), was selected for a Honor Award among 353 entries submitted from numerous countries around the world. 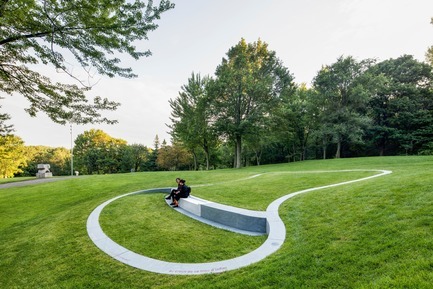 The scheme combines landscape architecture, wayfinding and poetry, adding a subtle layer to the much-celebrated Mount-Royal Park designed by Frederick Law Olmsted in the 19th century. 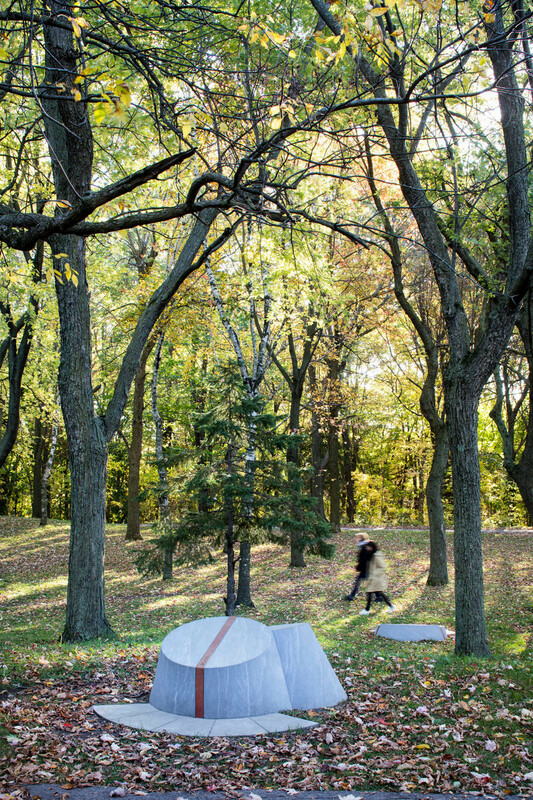 "A delightful and engaging experience integrated gracefully into the environment" comments the jury. 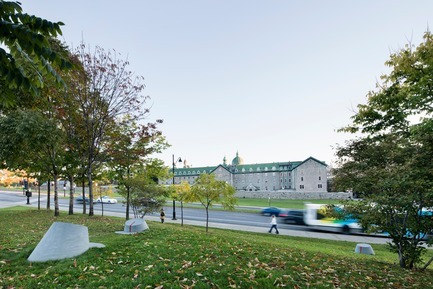 Montreal, celebrated for its historical architecture and its vibrant urban life, is also recognized for its unique setting on the St. Lawrence River and for its small, but highly emblematic, mountain rising from the downtown core. 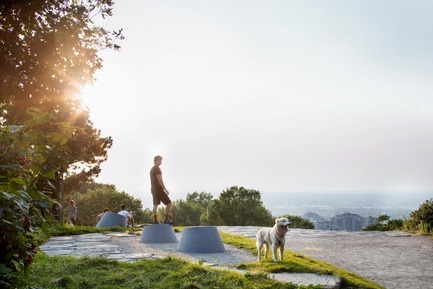 Mount Royal, as it is known, is a year-long destination for Montrealers and has always been a magnet for visitors. 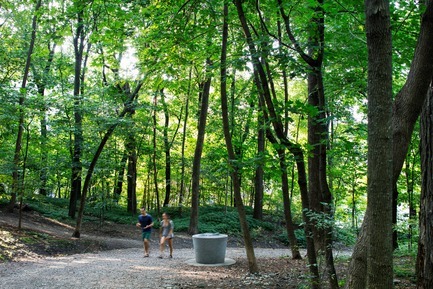 The 495-acre area transformed into a park in the 19th century by Frederick Law Olmsted is part of a larger and lesser-known 1850-acre territory, designated as the Mount-Royal Heritage Site. It encompasses three distinct summits, 5 cemeteries, 2 university campuses and significant historical buildings. 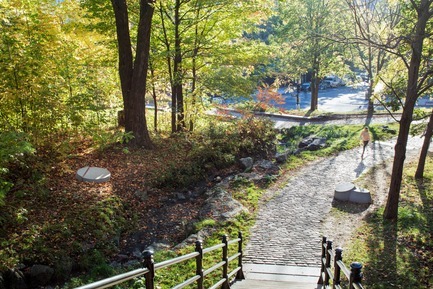 Along with Old Montreal, this heritage site is one of the city’s most ‘protected’ sectors. 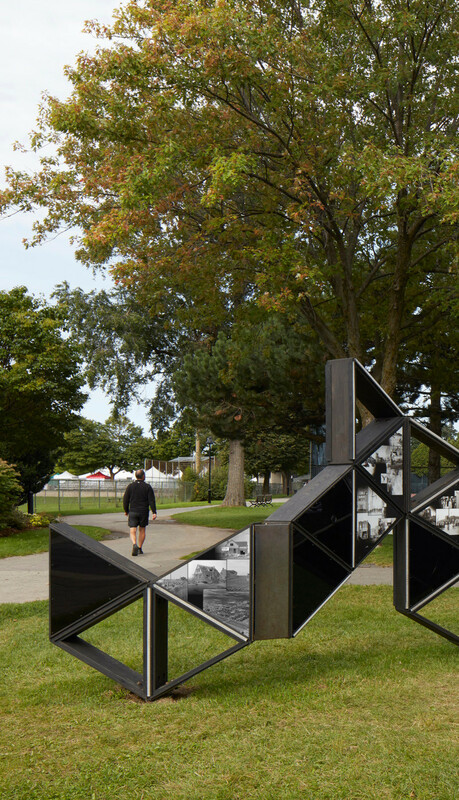 In 2017, fifty years after hosting Expo 67, Montreal set out to celebrate its 375th anniversary with a series of urban interventions. 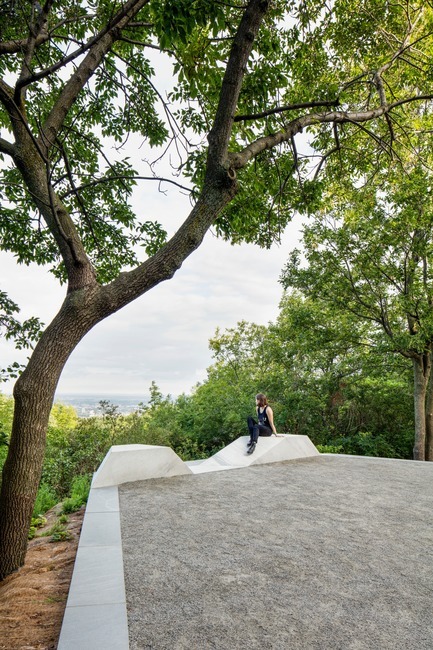 This project called Escales decouvertes (Discovery Halts) was designed for the Mount Royal site and it stands in sharp contrast with other more technologically savvy commemorative projects. It is about connecting, discovering and interacting. 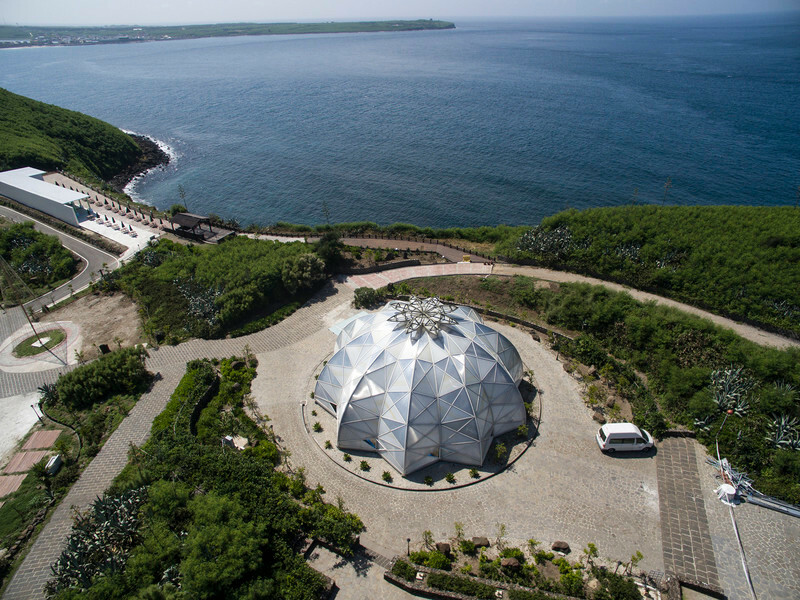 Discreet yet audacious, it was intended from the start to provide visitors with an entirely new experience and a clearer understanding of the mountain’s natural and historical features. 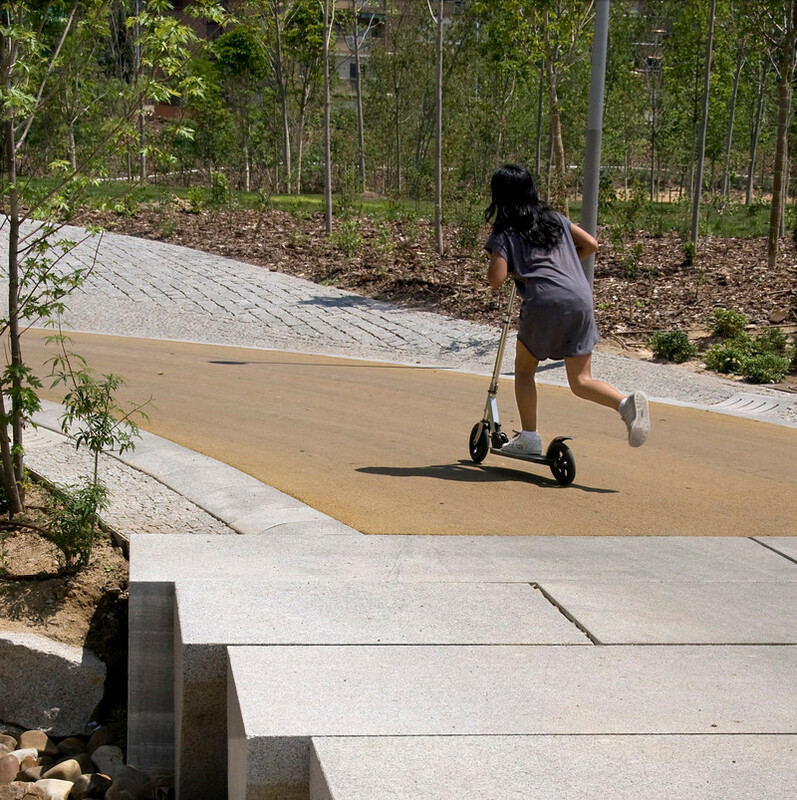 Staying away from traditional wayfinding options, such as linear trails, directional signage or commemorative markings, the design team made up of civiliti and Julie Margot design opted instead for an open-ended approach using mostly natural features as wayfinding clues. A family of objects was developed in keeping with requirements deriving from the site’s special heritage status. 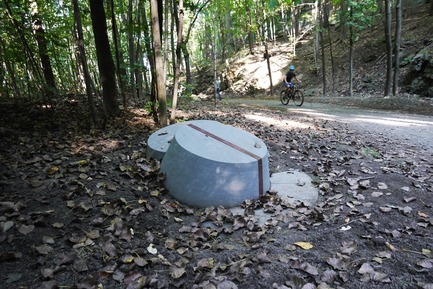 Designed in granite and bronze, these were installed throughout the park and its immediate surroundings. 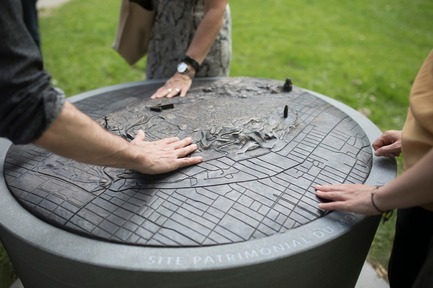 They are meant to engage visitors in a sensorial and intuitive discovery of the site’s features. Interviewed by the SEGD website's editors, civiliti's Peter Soland explained: "We started talking about objects, rather than signage. 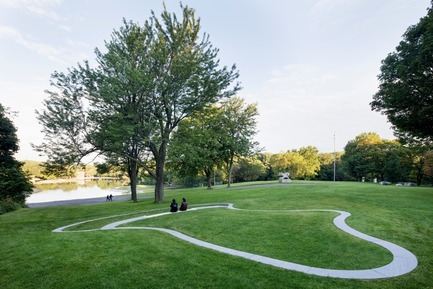 Objects appearing in the landscape would be enigmatic and attract people to them." 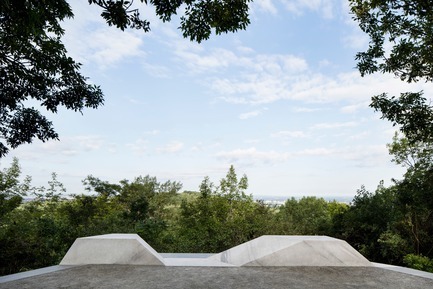 Three types of objects were created: tridimensional maps designed as orientation devices, low conical stones serving as place-markers in the landscape, and larger belvedere-like halts. 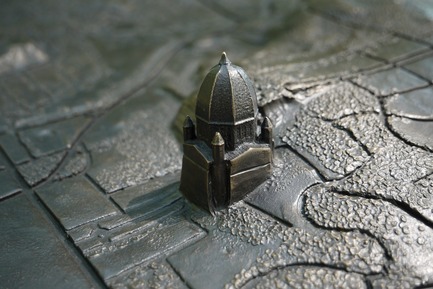 The bronze maps, each set on a granite base, were strategically placed at twelve access points. 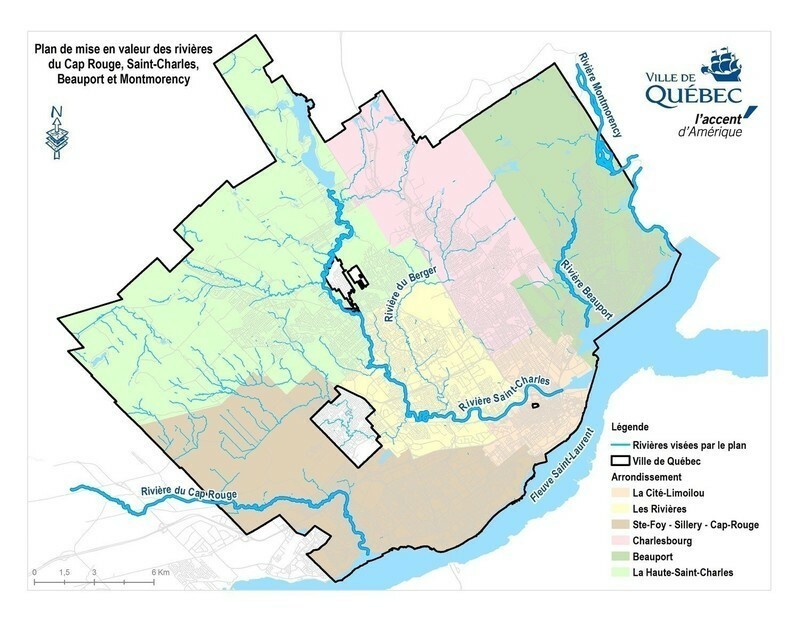 Each map clearly identifies Mount Royal’s three distinct summits, rising above the city grid, and three built landmarks. 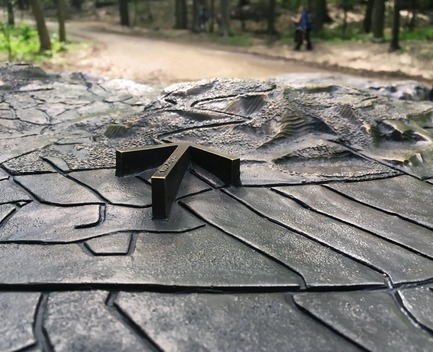 Together they provide visitors with a visual and tactile understanding of the mountain’s geographical identity. 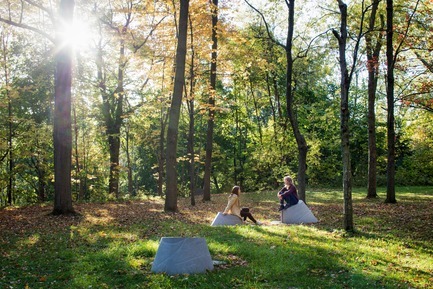 The conical place-markers, clustered in groups of two or three, vary in size, some as small as stepping-stones, others large enough to sit or lean on. 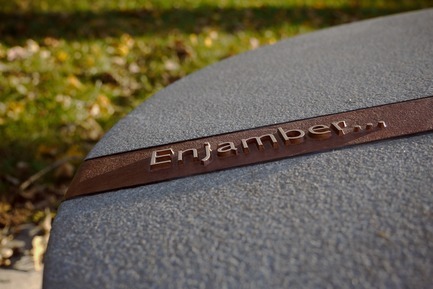 With their bronze inscriptions, they provide clues to the more intimate characteristics of the mountain’s historical and natural features such as notable rock formations, prairies, the trace of a now-buried river or a vanished ski slope. Twenty-five of these granite cones clusters were initially planned for the project. The last segment of this family of objects consists in a series of ten landscaped belvedere-like halts. Each one is either anchored in the ground or projecting from a cliff. 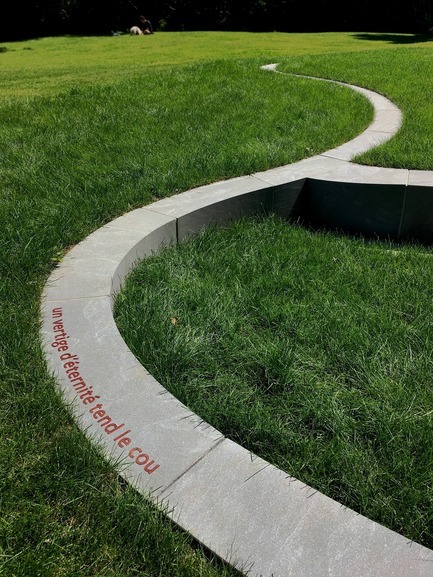 It is also defined by a granite border featuring a verse written specifically for the location by an assigned Montreal poet. 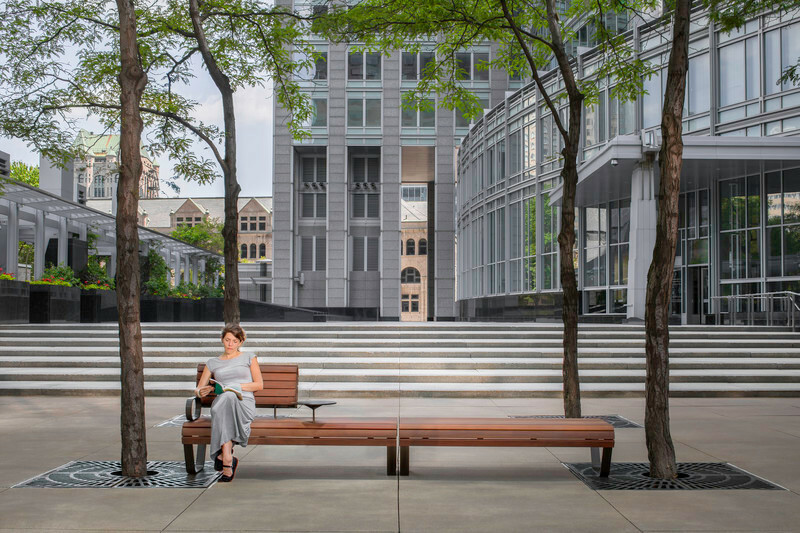 The halts, at times curvilinear, at times angular, all with built-in seating, are located in strategic locations with privileged views of Mount Royal’s interior landscapes. "Wayfinding and interpretation suggested without imposing" comments the jury. Locations for each intervention derived from rigorous site and landscape analyses, which included four-season photographic surveys. Each of the proposed sites was submitted to a committee composed of various stakeholders. An additional challenge consisted in making sure the objects were positioned throughout the entire site to ensure full appreciation of the mountain. In the SEGD website interview, Julie Margot, the project's lead visual designer, explains how the concept evolved: "We wanted to move away from ‘direction’ and ‘directing’ and encourage an intuitive experience of the different spaces and places." 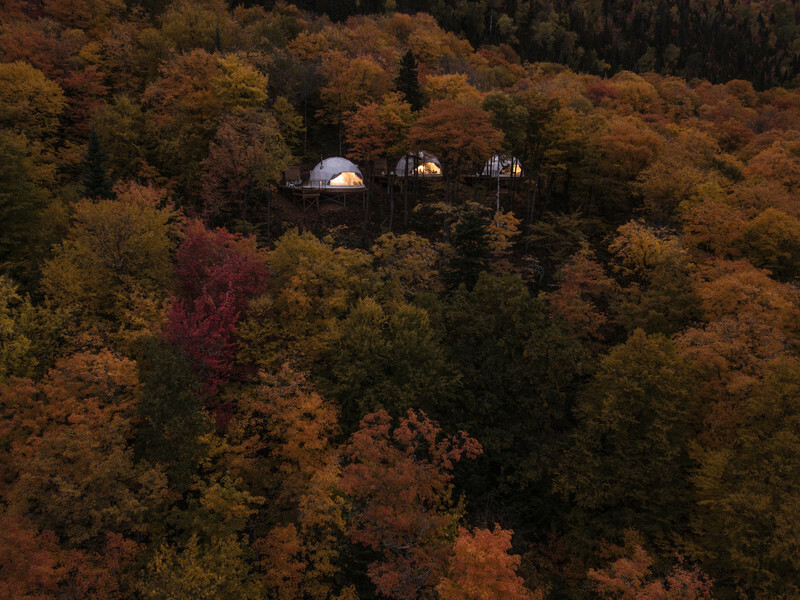 invites Montrealers and visitors to continually renew their experience of the mountain through a fuller understanding of place. 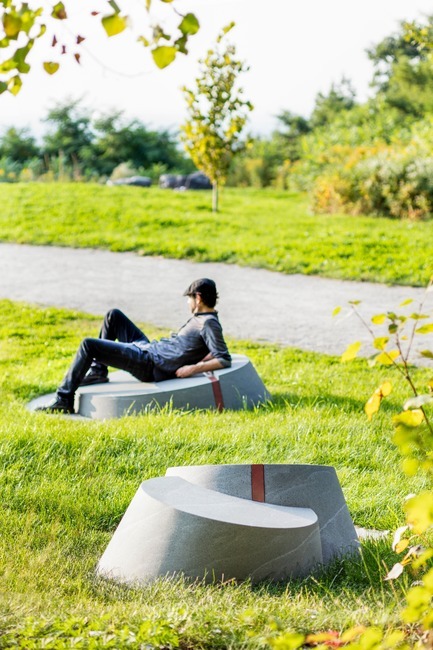 Founded by Peter Soland and Fannie Duguay-Lefebvre, civiliti is a Montreal-based urban design and landscape architecture firm known for its contemporary urban interventions. These include the Guido-Nincheri Park and the architectural and lighting concepts of the Université de Montréal’s new MIL Campus Viaduct. 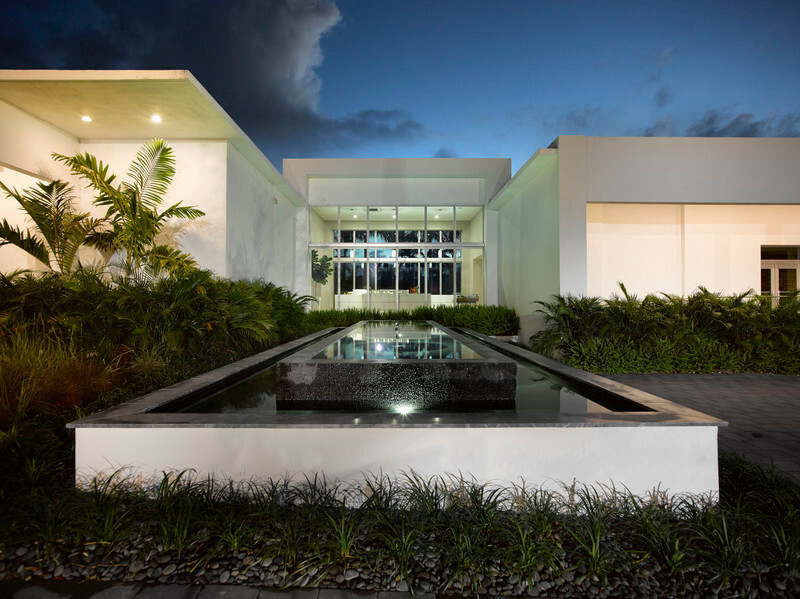 The firm has recently won several urban design and landscape architecture competitions. 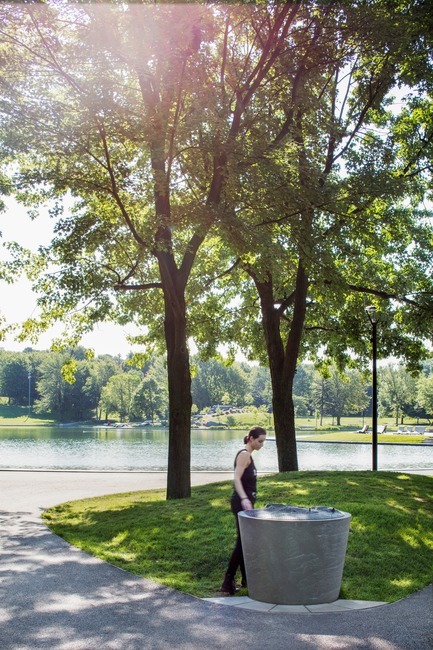 Prior to establishing her own practice in Montréal, Julie Margot worked as an art director for award winning design firms in Minneapolis, Paris and Montréal. In Paris, she collaborated with leading agencies Dragon Rouge and Minale Design Strategy. She was involved in various projects for clients such as Renault, Volvo, La Poste, Lenôtre and Cartier. 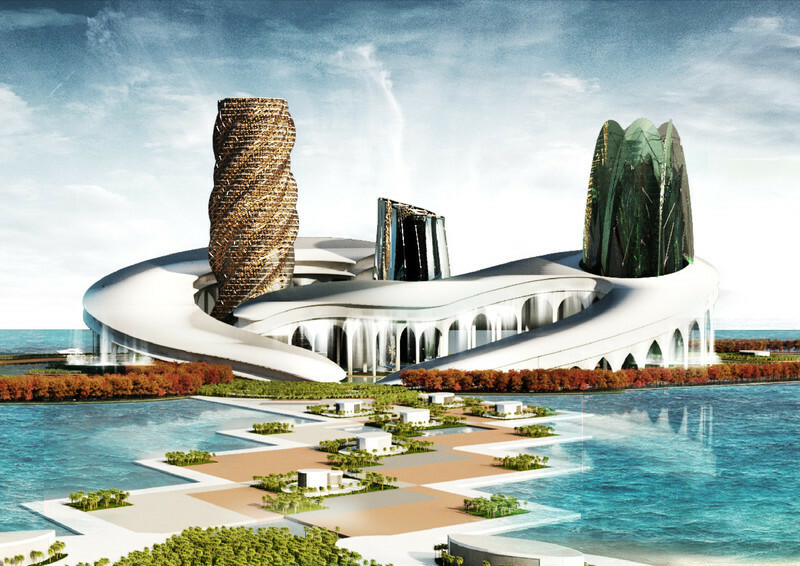 regularly teams up with firms such as civiliti to work on multidisciplinary projects. 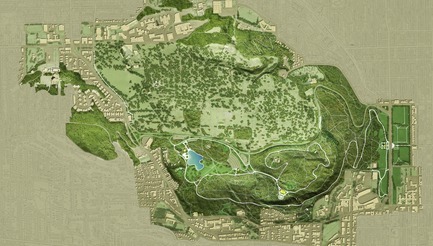 Map of the 1850-acre Mount Royal Heritage Site. 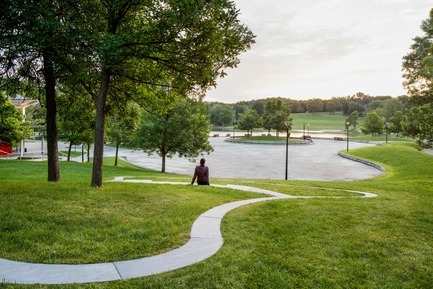 Apart from the Olmsted-designed park itself, it features 3 summits, 5 cemeteries and 2 university campuses. The site is also in close proximity with a number of hospitals.